Hello! Fáilte! This is episode one – the Introductions episode – where we tell you a little bit about ourselves and a lot about our plans for BLASTA! So, wherever you are in the world – and whatever your fibre craft – sit down, relax and have a listen. 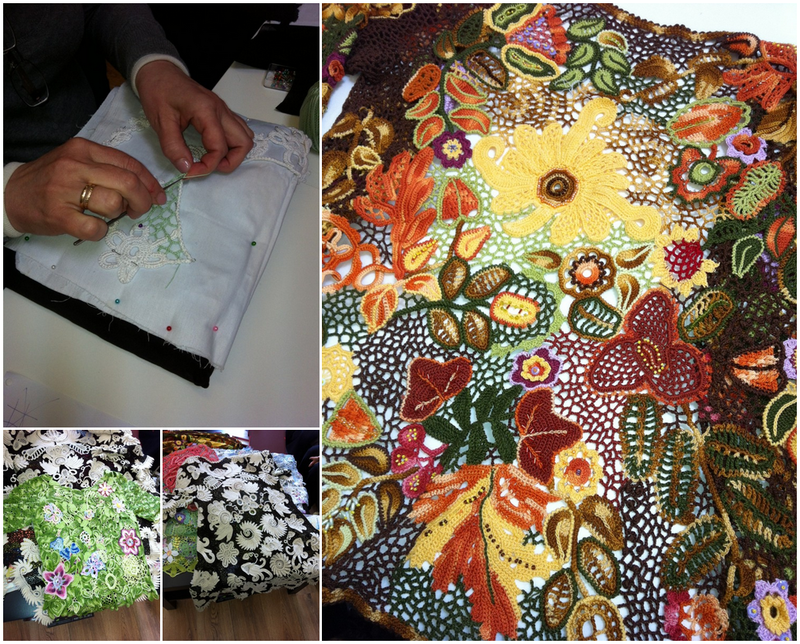 In June 2012 Dearbhla attended a workshop in The Constant Knitter by Olga Krivenko on Russian-made Irish Crochet Lace. The attached photographs that Dearbhla took show the stunning work done by Olga and her friends in Russia and Olga demonstrating how to do the netting around Irish Crochet motifs. A quick welcome and intro to the show.